There are a variety of different building types and methods of construction. Determining a construction method should be one of the first decisions made before moving forward with preliminary designs. Following the principles of sustainability, it is important to choose a construction method that compliments the needs of the people as well as the surrounding environment. Wood framing, also known as light frame construction, is the most popular construction method in North America, Australia, and other countries around the world for many reasons. Wood frame buildings are typically built on concrete foundations. The foundation is laid and then the wood structural frame is built on the foundation. Interior and exterior wall coverings are later attached to this structural frame. Because wood frame buildings use relatively minimal structural materials, one can enclose a large space with minimal cost while still allowing for different ranges in style. This would not be an ideal building system to use in Monwabisi Park because wood framed buildings are prone to fires, of which the park has many. Also, with this building system there needs to be a firm foundation on which to erect the structure. This is needed to guarantee that the building is sound. In the community, the shacks and other building structures simply lie on sand. Where poor soil exists, like in Monwabisi Park, extra measures are taken to erect a sound foundation and building. Concrete foundations are used in places where engineers can analyze the footing. The need for this type of analysis increases the difficulty and price of construction. In addition, the skills needed for this type of construction consist of carpentry and other construction skills. Hiring men with these trade skills would increase the project cost exponentially. This building system is not recommended for Monwabisi Park for these reasons (Council, 2001). Another building system is concrete buildings. This building system is a feasible option for Monwabisi Park. For the most part, the exterior of the building is built entirely from concrete. Because concrete is a heat sink, concrete buildings have an even temperature during the day and night. Temperatures within the building will feel cool during the summer and warm during the winter. This is a beneficial property in this community because Monwabisi Park faces many cold fronts, torrential rain fall and heat waves that can occur all within the same week. The fluctuation in temperature and weather is a critical problem that needs to be addressed. This is a useful aspect of concrete because many of the shacks and other structures in Monwabisi Park currently experience heating and ventilation issues. 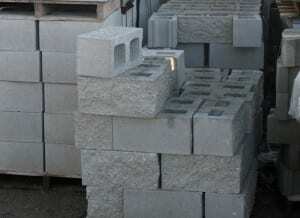 Furthermore, concrete is a rigid material and allows for more stability than a wood frame structure. If properly reinforced, concrete structures can withstand earthquakes. This makes it an ideal choice for high force wind areas. All in all, the total construction cost is only slightly above that of wood frame building. Because of the higher building cost and the need for skilled labour, this building system was not found to be the best system for Monwabisi Park (Cement, 2009). 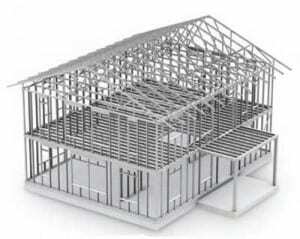 A third building style is steel framing. The benefit of using steel is its durability and resistance to change. Steel does not shrink, split, or warp. Since quality is consistent and the beams are usually made to size, there is minimal scrap material relative to wood structures. Steel is resistant to rot, mold, and insect infestation. For these reasons, steel frame structures have a relatively low maintenance cost. Steel is considered a “green” material because it uses twenty five percent recycled materials and is one hundred percent recyclable. As with anything, there are a few downfalls to using steel. First, not all builders are familiar with constructing metal structures, have knowledge in the latest standards and have knowledge of the latest computer software. Special tools are needed in the construction of steel buildings as well as special designs that properly brace the steel. The greatest disadvantage with steel structures is that they are a great conductor of heat meaning that they gain heat very quickly and lose it just as fast. For these reasons, steel is not an ideal building material to be used in Monwabisi Park. Two other reasons that steel is not ideal are that the cost of steel is much greater than the cost of other building materials as well as the man-power and materials that it would take to build and insulate a building with steel framework. Even though steel is a strong material and could withstand the high speed winds of Monwabisi Park, it would not be ideal to implement (A Builder’s Guide to Steel Frame Construction, 2007). The building solution that has been found to be the best for Monwabisi Park is the ecoBEAM Technologies. EcoBEAM Technologies was created by Mike Tremeer as a low-cost sustainable building solution, which is being implemented in the redevelopment of Monwabisi Park. EcoBEAMs are constructed using two pieces of timber connected with a metal lattice framework in between. According to the ecoBEAM website, a building framed with ecoBEAMs is able to use two thirds of the lumber a typical building would use. The technology is an environmentally friendly and cost effective alternative to other, more conventional, building materials (EcoBEAM, 2009). 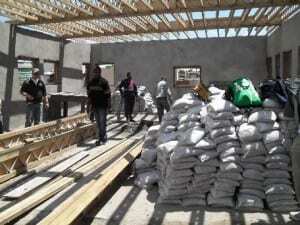 This building system of sand bag buildings mostly composes of sand bags and ecoBEAM units. EcoBEAM Technologies is a great tool to use in building construction in Monwabisi Park because it uses materials readily available to the community such as sand. EcoBEAM units are simply 2 beams connected by a continuous piece of metal in a zig-zag configuration. These beams act as studs between sand filled polyester bags dry stacked to form a wall system. The wall is completed by filling it with sand bags and then plastering it with cement or cladding boards externally and internally. The building system begins with the construction of the foundation. The uprights of the building are built by “modified timber frame construction.” This consists of vertical ecoBEAMs approximately one meter apart to form the studs for the bags to fit around and be packed neatly in between. The external and internal walls can be clad with plaster or planks. Windows and door are framed by conventional timber frames and roof construction may be made out of beams and rafters or trusses that support sheeting or tiles (ecoBEAM, 2009). Further detail on how to construct a building with the EcoBEAM Building system can be found in further detail in the ecoBEAM Building Manual. EcoBEAM Technologies provide more than just building materials for a community. Job opportunities have been locally created based on the need for manual labour to create the beams. There currently are recommendations to get a fully operational ecoBEAM factory within Monwabisi Park (Garcia et al., 2008). Jobs can also be created through the production of ecoBAGs in the community. The 2008 WPI Economy Team from the Cape Town Project Centre created a sewing factory to manufacture these sandbags (Garcia et al., 2008). In Monwabisi Park, and similar informal settlements, the sandbags can provide insulation needed to keep buildings cool during the summer and warm during the winter (ecoBEAM, 2009). EcoBEAM Technologies have created an eco-friendly way of building structures. There are many advantages and benefits to the EcoBEAM technique of creating a building. Some of the advantages of EcoBEAM are that it is environmentally friendly. The carbon footprint left by the building is much less than traditional building. There are minimum building wastes or losses on site of construction that decreases pollution. This technology is also very environmental friendly because it does an excellent job of insulating the building. Residents of Monwabisi Park will be able to stay cool in the summer and warm in the winter. The According to ecoBEAM, ecoBEAM buildings have up to seventy percent superior thermal properties that allow the heating of the building to be very efficient. Additionally, ecoBEAM Technologies allows for much lower building cost than conventional buildings. This makes it a preferred system to use in Monwabisi. On average this technology reduces cost from twenty to thirty percent. In South Africa alone, the building cost is lowered to at least thirty percent compared to traditional building methods. This building system is an economically friendly way in creating buildings. The construction of the building is simple and requires little skilled labor. One person in the community could be trained in this construction system fairly easily and quickly. With this building system there is a very rapid construction rate allowing the building or building to be ready within days. The ease in building construction allows job opportunities in Monwabisi Park. This is essential in creating a sustainable community. Ease of transport, construction and low transportation cost makes the EcoBEAM system ideal all situations for Monwabisi Park (ecoBEAM, 2009). A key attribute of the ecoBEAM system is that the community members of Monwabisi Park can be self-sufficient in providing most of the labour necessary for building construction. With help from an ecoBEAM professional, the community can erect their own house. EcoBEAM construction requires no on site electricity and few materials other than the beams and sandbags. Presently within Monwabisi Park, the structures are prone to fires from unsafe fuel sources and an unofficial, informal electrical grid. While these problems should certainly be addressed, the ecoBEAM system is fire resistant. Monwabisi Park, therefore, has much to gain from the implementation of the ecoBEAM system. EcoBEAM Technologies hopes to create job opportunities in Monwabisi Park, offer skill training, encourage ownership and entrepreneurship and lastly help the environment by creating an eco friendly building system. The future community centres in Monwabisi Park will benefit from this building system greatly because it instils and reinforce many of the values such as sustainability, community involvement and opportunity that the community centre tries to bring to a community. (ecoBEAM, 2009).